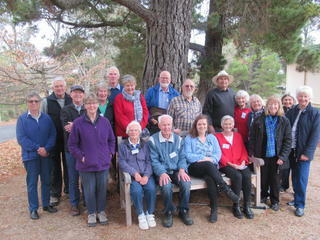 The ‘Friends of Hall School Museum’ group was established in 2011. Together with the Honorary Curator, Alastair Crombie, the ‘Friends’ now take care of the Museum and all aspects of it’s planning and development. Some may be able to help with some of these tasks. 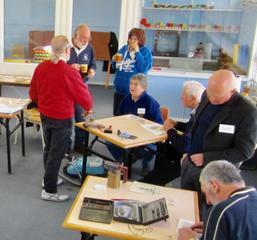 The 'Friends' as a group can give support to the volunteer workers, by taking an interest in their activities and promoting the interests of the Museum in other forums. The 'Friends' are a key reference group when future plans and directions are contemplated. A large group of volunteers members of the Centre gathered on 4 October to unveil a plaque in memory of Val Wiseman. Apologies to those who were 'apologies' on that day! Are you interested in becoming a 'Friend'? Download a Friends Membership Form, fill it in, choose a payment option, and send it to us. We will greatly value having you as another 'Friend'!